The US Geological Survey (USGS) said a magnitude 8.2 magnitude earthquake struck off the Pacific Ocean near Fiji and Tonga on Sunday but was not expected to cause any damage. The Tsunami Warning Center said the earthquake was too deep to cause a tsunami. 347.7 miles (560 km) below the earth caused the earthquake to shake off the surface. "I do not expect any damage, people will experience it but I do not expect any harm,"
said the USGS Geophysicist Jan Parsley Telephone. The earthquake was initially reported at 8.0 and subsequently updated to 8.2, causing massive damage and was not too deep. 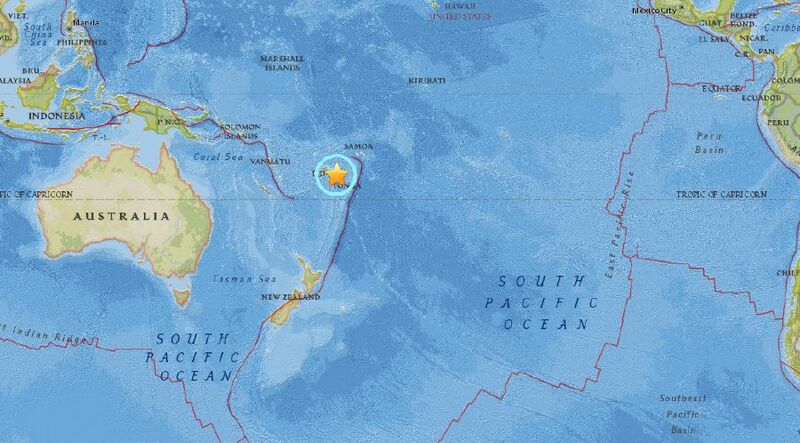 The epicenter lies 167 miles (270 km) east of Levi in Fiji and 275 miles (443 km) west of Niuefu in Tonga. The area is located in an earthquake-prone ring of fire.